The groundwater, contaminated and dirty, has been extracted from this Santa Ana club center. 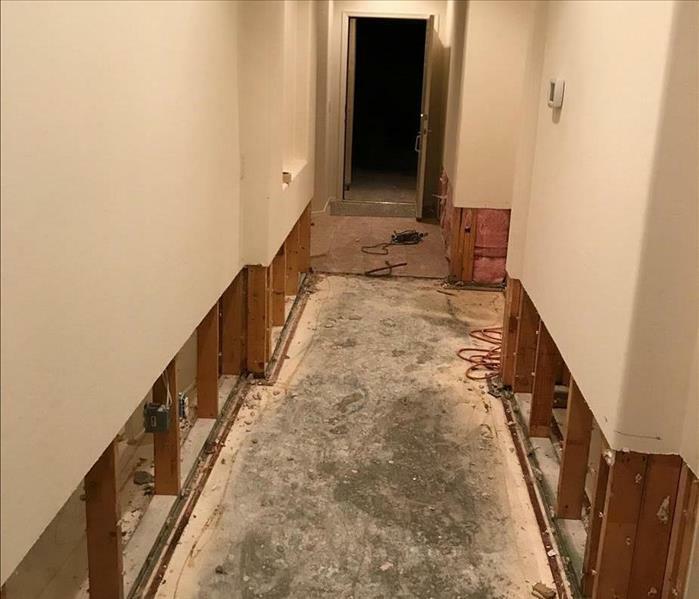 The small flood-cuts removed ruined drywall and helped speed up the drying process. Our green machines are drying out the exposed areas after an antimicrobial has already been sprayed. 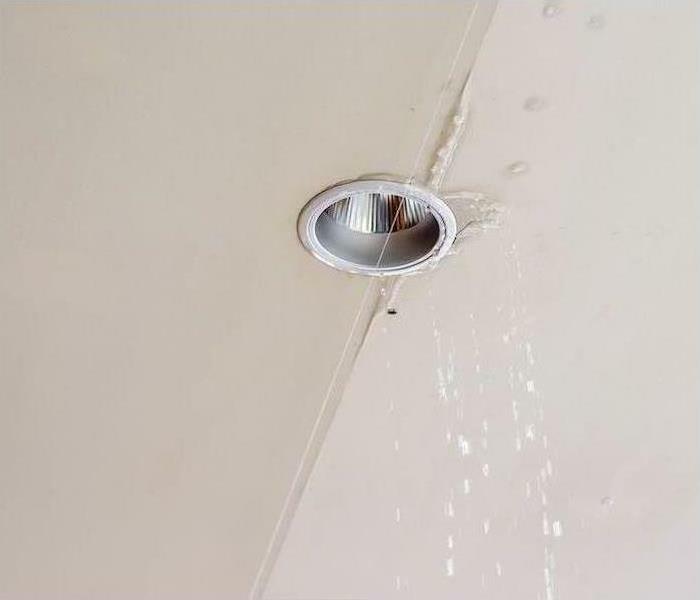 This mobile home in the Santa Ana area got flooded and need SERVPRO to quickly come and remove the water to mitigate the damages. We're Faster To Any Size Disaster, so mission accomplished! 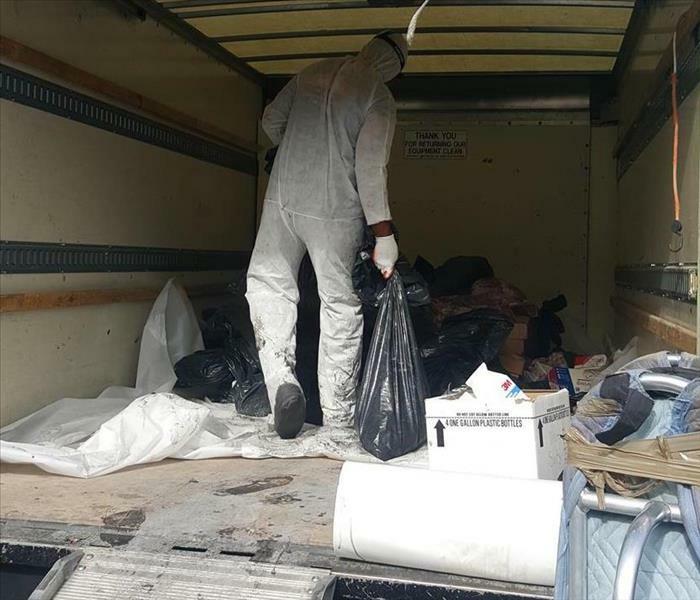 The unpleasant cleanup of a sewer backup in a Santa Ana home requires a high degree of professionalism. Why? The physical removal of the black water can be done by most restoration companies, but SERVPRO provides industry-leading products to sanitize, disinfect to remove pathogens and bacteria, a proven deodorization process, and a stress-free service to our customers. When facing an extensive kitchen or bathroom water damage situation, IICRC certified SERVPRO technicians should be brought in to effectively remediate the damage and help prevent a mold infestation. Our team of technicians removes the damaged material so that the property can be restored and made "Like it never even happened." 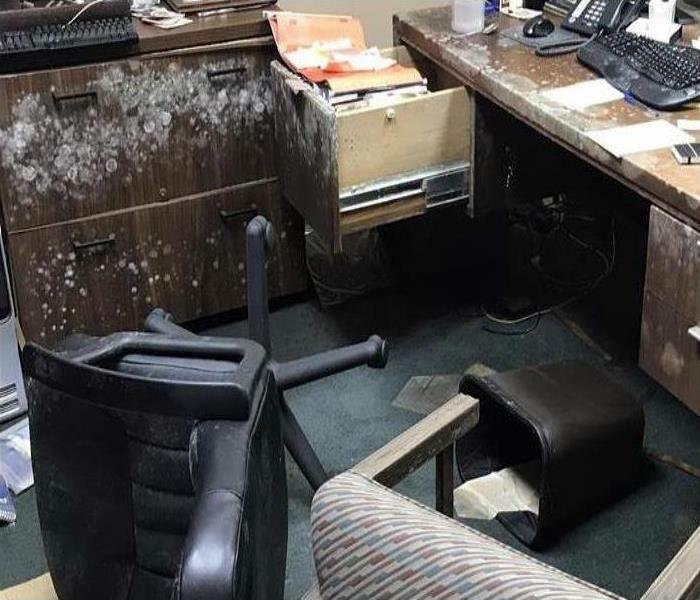 Contact our team right away after damage at (714) 558-7772. 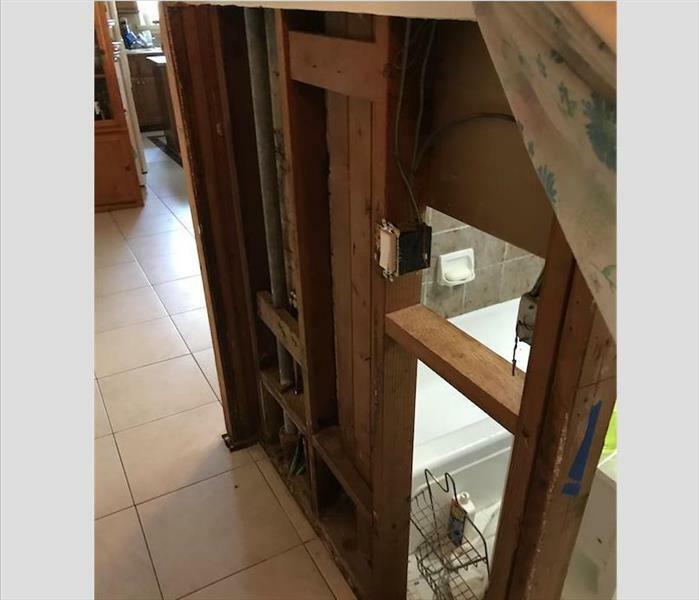 The lesson to be learned is when you discover a leak in your Santa Ana bathroom, get the leak fixed and called SERVPRO to inspect. It may be necessary to open up a portion of the wall and apply an antifungal agent to prevent future mold growth. SERVPRO provides a guaranteed stop to fungi growth from treated areas. SERVPRO of Santa Ana South is the team to pick when dealing with a fire damage emergency. Our experts are ready to respond 24/7 and are highly trained. We have the experience and equipment to restore your home to pre-damage condition. 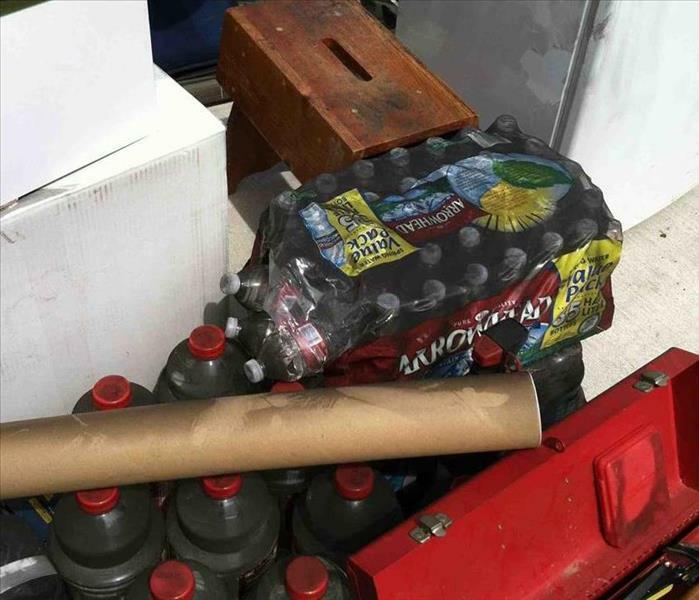 Tainted water that flows from the exterior to inside a Santa Ana home carries possible pathogens, bacteria, pesticides, and a variety of harmful chemicals. SERVPRO techs tear out the water soaked walls and carpeting as the initial step in the cleanup and recovery. 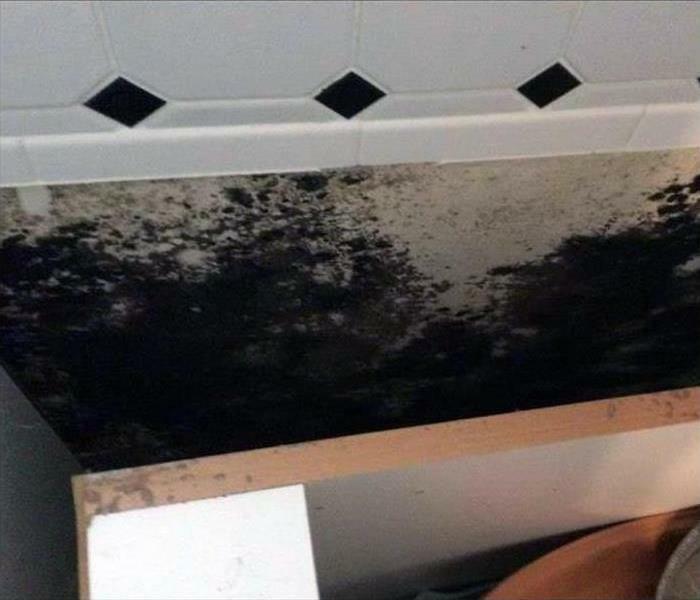 Mold can be a homeowner's worst nightmare. The good news is our experts have the experience, training, and equipment to handle any size mold infestation. 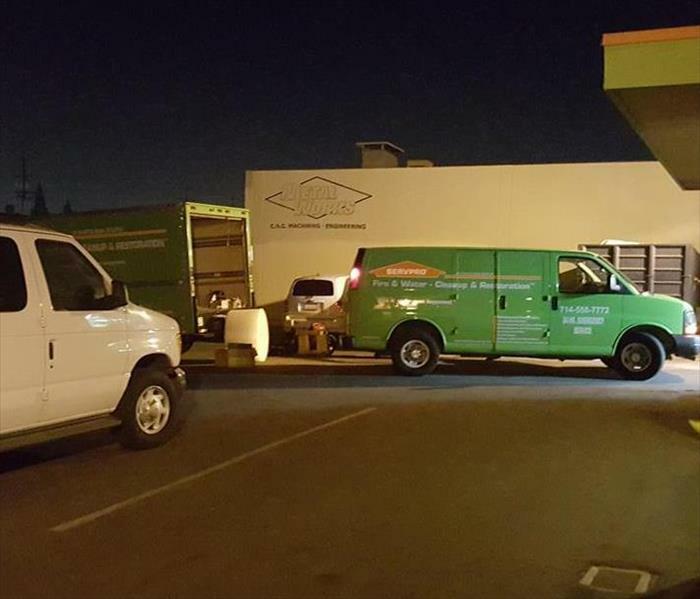 SERVPRO of Santa Ana South is ready 24/7, locally owned and operated, and Faster to Any Size Disaster. 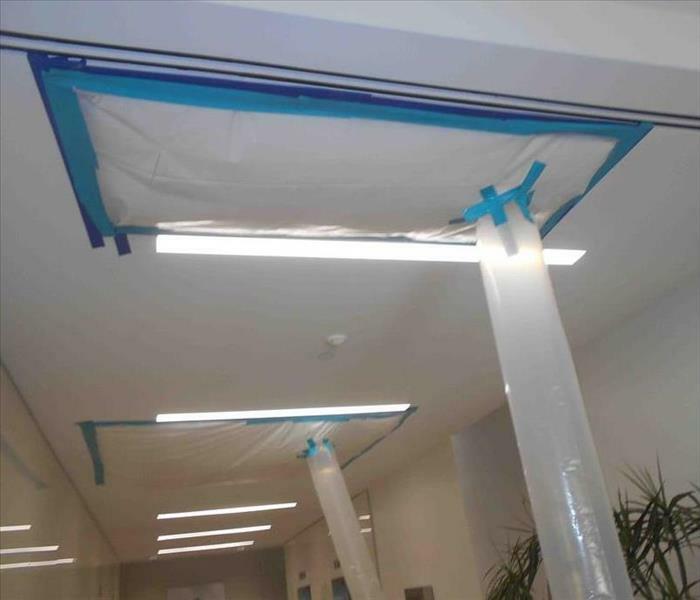 Water damage in hallways of Santa Ana hotels and commercial buildings benefit from rapid water extraction and drying. SERVPRO understands the need to minimize disruptions to the guests, present and booked. We work hard, day or night, to place our equipment to optimize the drying and keeping your business in business. 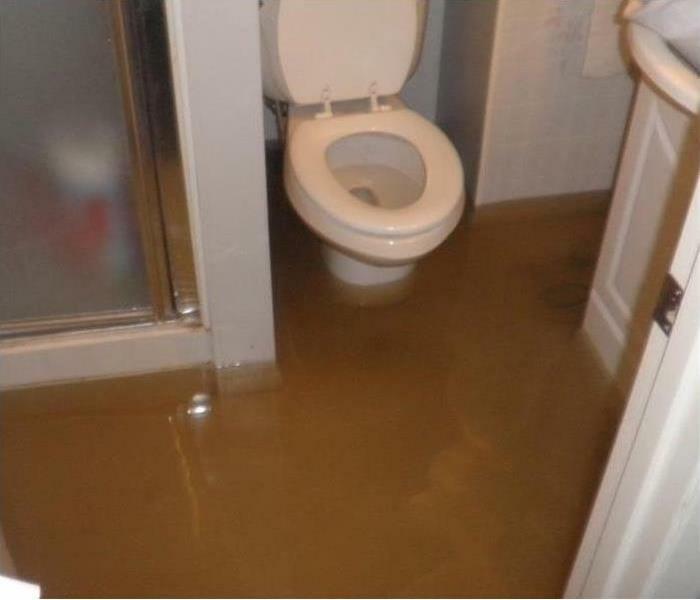 Water damage in commercial or residential locations cannot always be viewed with the naked eye or felt to the touch. 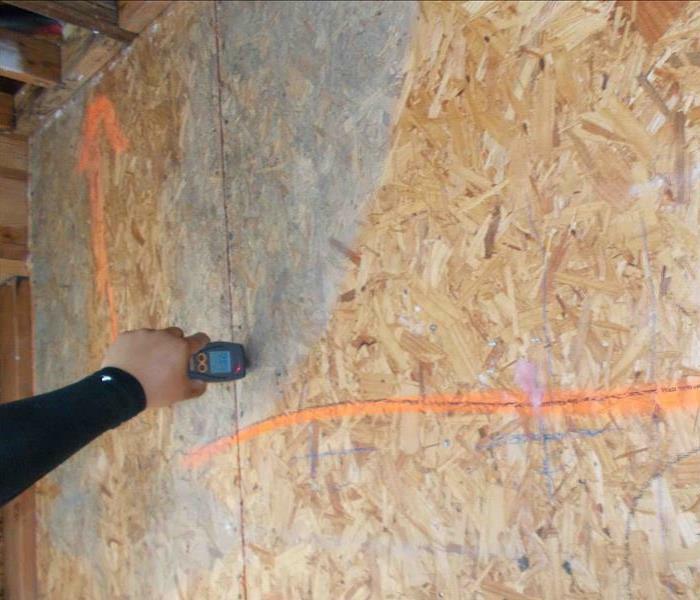 SERVPRO of Santa Ana South employs the latest technology like this state-of-the-art water detection device to locate and measure the moisture content of many types of building materials. Flood intrusion can wreak havoc on a private home in Santa Ana. 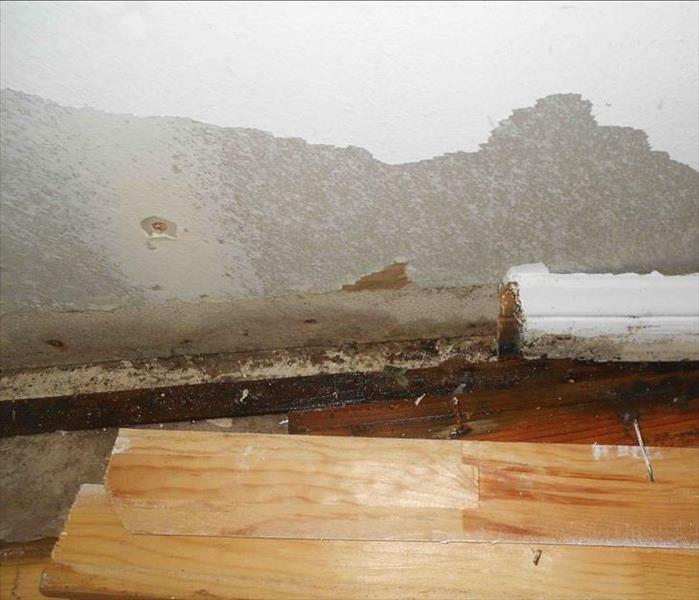 The contaminated stormwater soaks into the wallboard and carpets, both then needing removal. 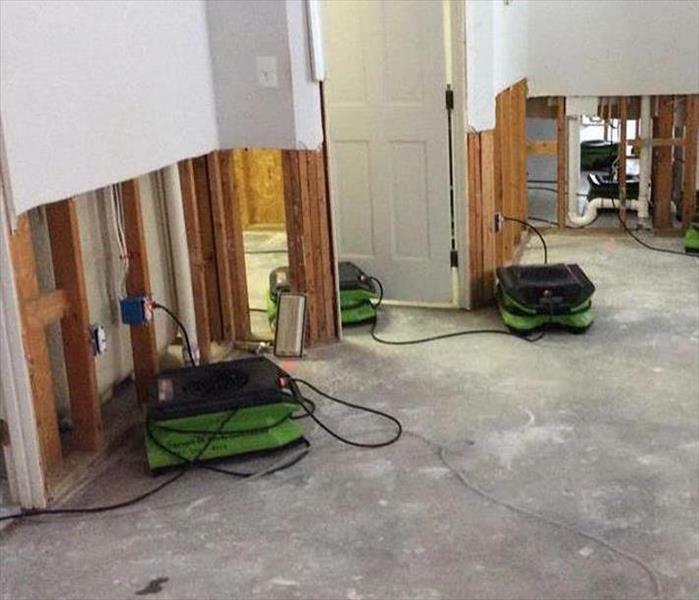 SERVPRO techs can neatly tear out the non-salvageable materials and set up our equipment to dry out the structure. A homeowner's worst nightmare is discovering mold growing on their property, but the team at SERVPRO has you covered. We have the state-of-the-art equipment, training, and experience to restore your home to pre-damage condition. SERVPRO of Santa Ana South is locally owned and operated, ready 24/7, and Faster to Any Size Disaster! If you have a water damage emergency, you can count on our team to assist you. We are available 24/7 and Faster to Any Size Disaster! SERVPRO of Santa Ana South has the advanced training, equipment, and experience to restore your home to pre-damage condition. There are so many things we use day to day that you never think will catch fire. 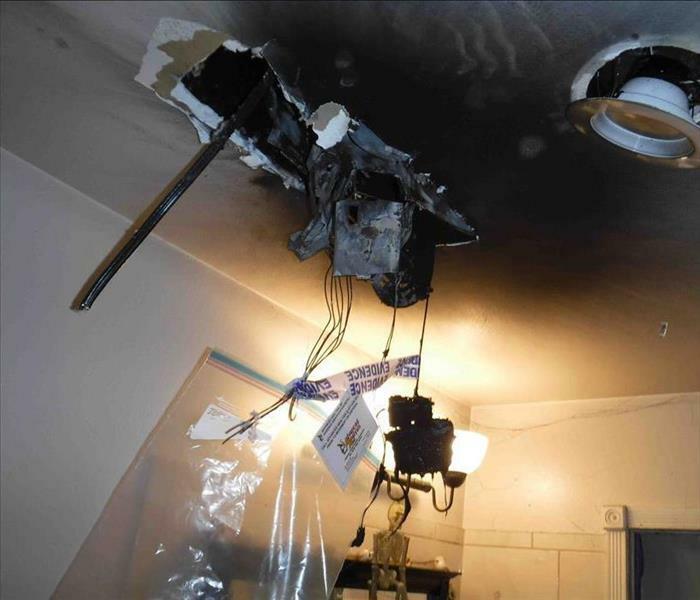 Here is a photo of a fan that caught fire in a Santa Ana home. This is a photo of a customers total loss due to a fire that started in a garage. When you have a fire not everything is always salvageable. At SERVPRO we take our time to assure the customer that they are getting the best possible customer service during their most difficult time. 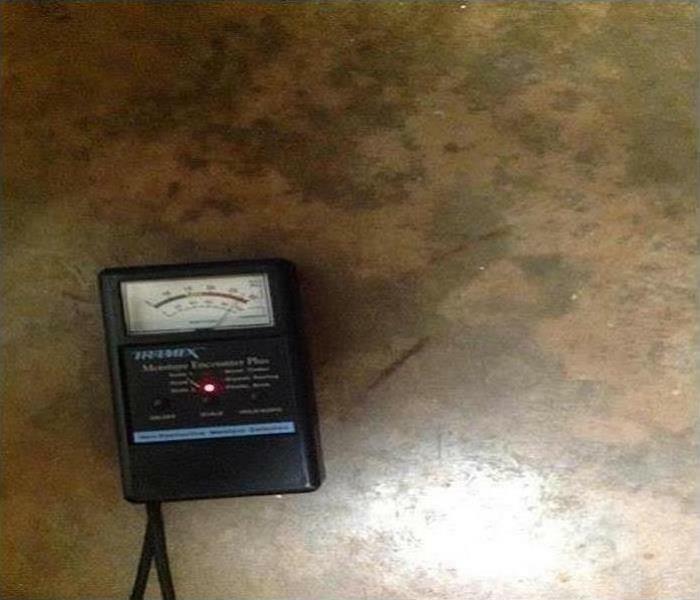 This is what water damage looks like on an uncut wall. Due to excessive rain fall this homes garage flooded and seeped into the home. Are you educated on mold ? 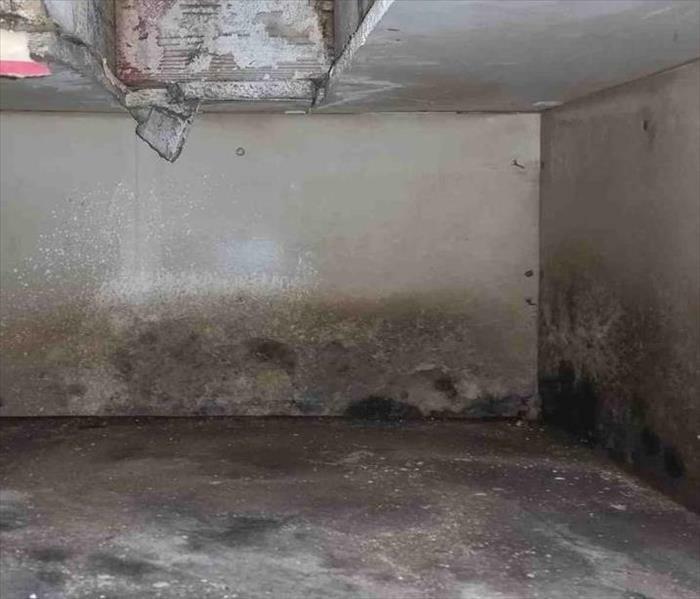 What about the do's and do not's of mold ? Contact SERVPRO of Santa Ana for mold remediation services. 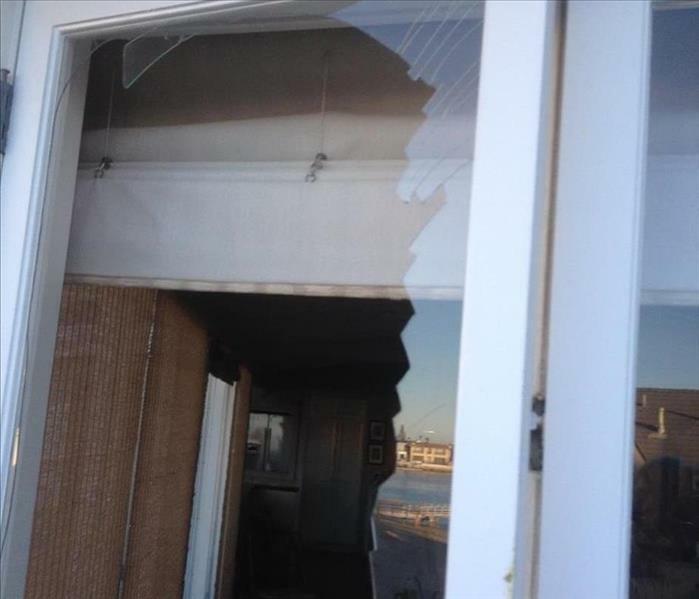 Due to high Santa Ana Winds this home in Huntington Beach California had the front window blown out. SERVPRO Not only specializes in fire and water restoration, but we also can do something as simple as a window board up until the window can get repaired. This flooded warehouse building is the result of many days of rain in southern California. It doesn't happen often in the sunny state of Cali, but when the rains come, they come down hard! Mold Mold and more Mold. 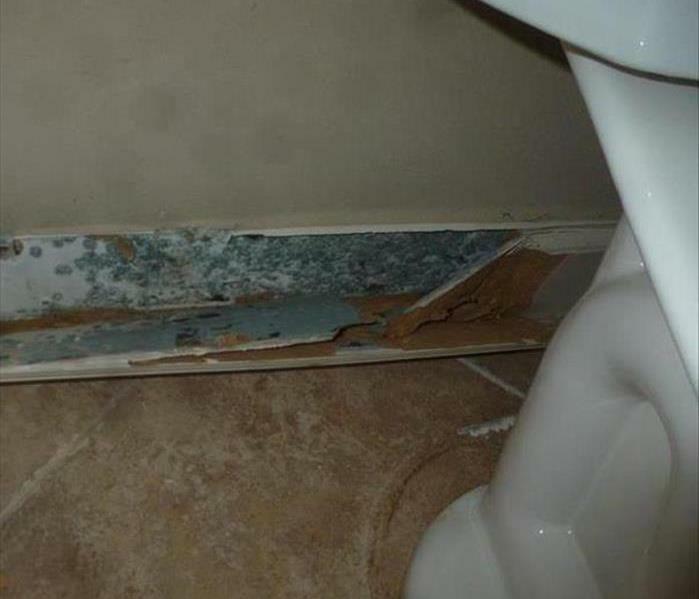 Mold is not only dangerous but it is also sneaky! In this photo that sneaky mold was found on the framing. SERVPRO SANTA ANA specializes in Mold remediation and can detect when there is mold in those cracks and crevices the naked eye can't see. Watch out for MOLD ! 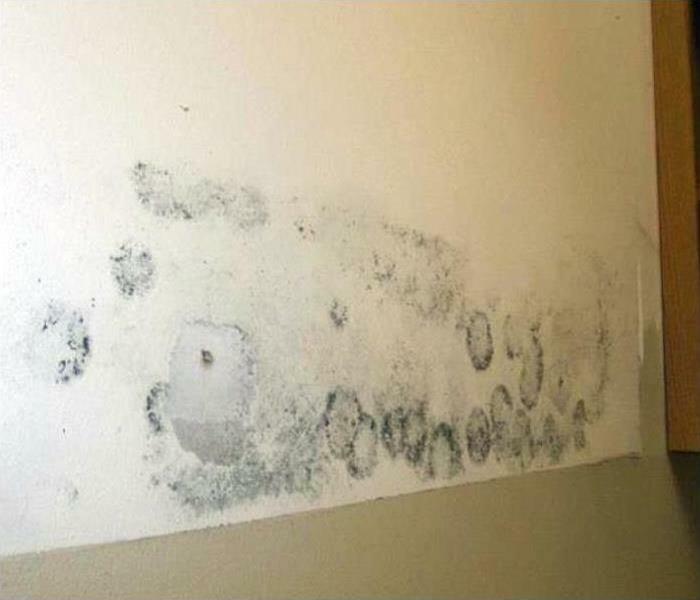 This is a photo of a wall affected with mold! Mold is very serious and if you do not catch it in time it can spread and be harmful towards you or your family. This is why SERVPRO of Santa Ana inspects thoroughly and uses testing companies to insure our customers are safe and have the best customer service they can receive. 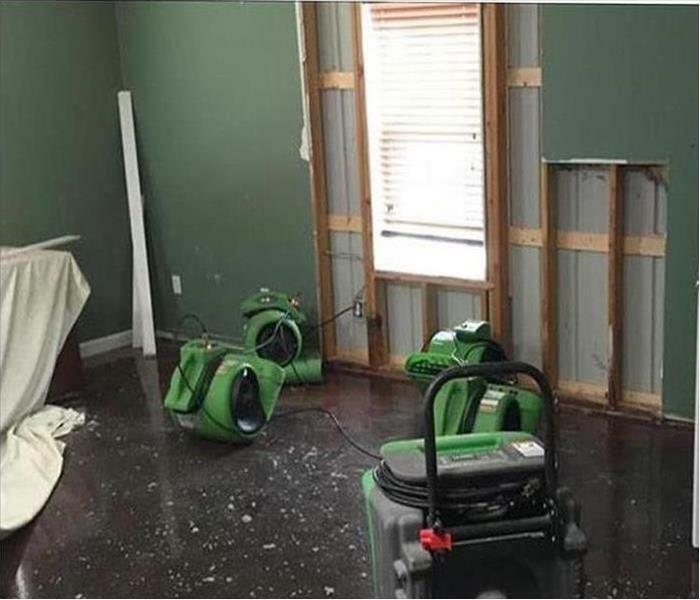 After the walls are detected and are found to have moisture within, our technicians at SERVPRO Santa Ana cut the walls and set up air movers, fans and dehus where needed. 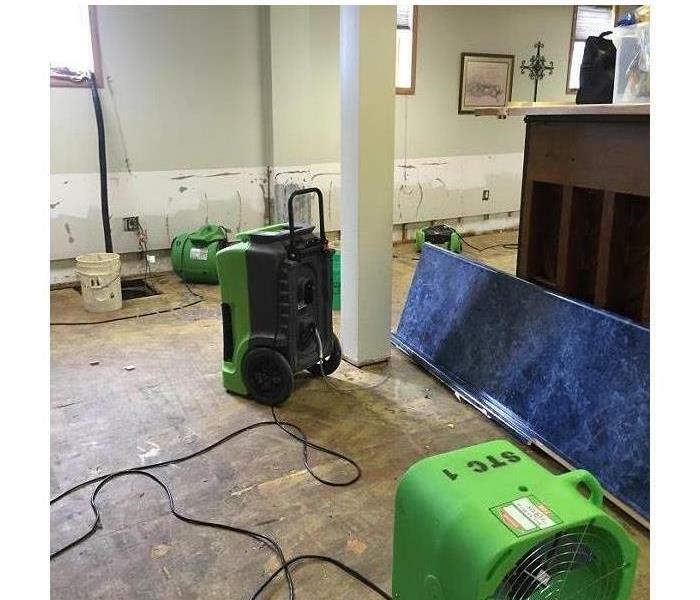 This is a photo of our equipment in the process of drying wet walls from a flood. 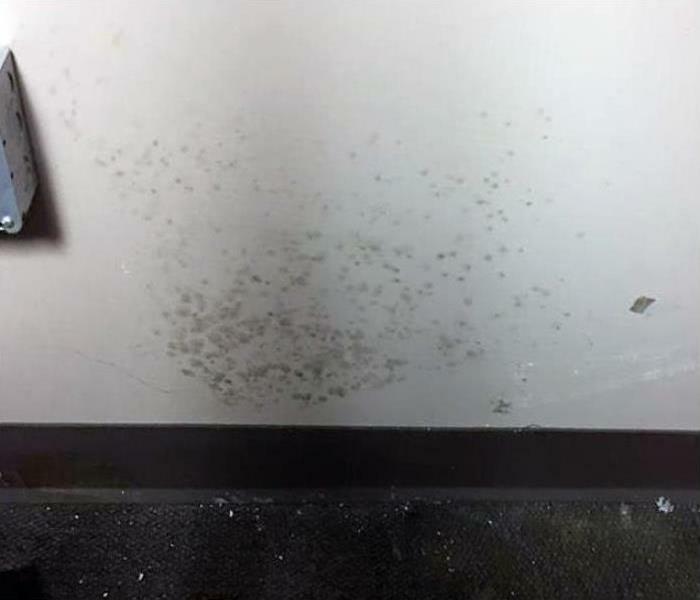 This is a photo of mold found on a ceiling underneath the dry wall. Our crew at SERVPRO Santa Ana did the mold remediation for this home to insure that the family that lives there would be safe in there everyday life. 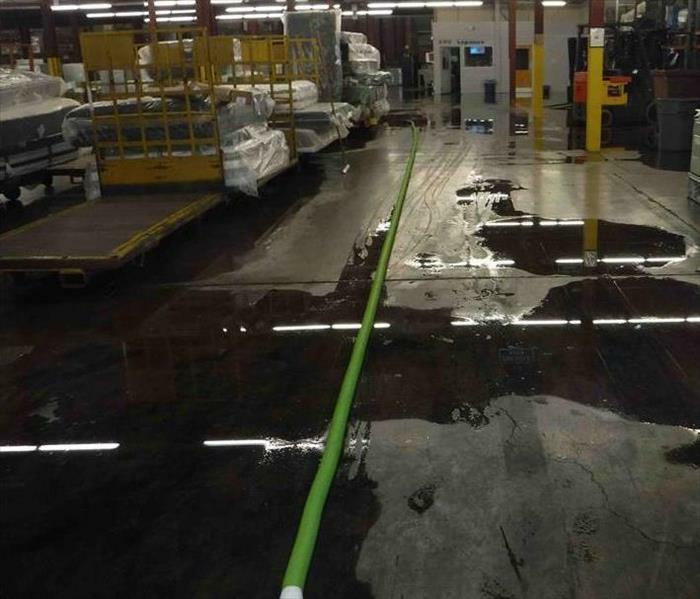 This is a photo from one of SERVPRO Santa Ana's commercial floods. This was caused by a urinal over flow. 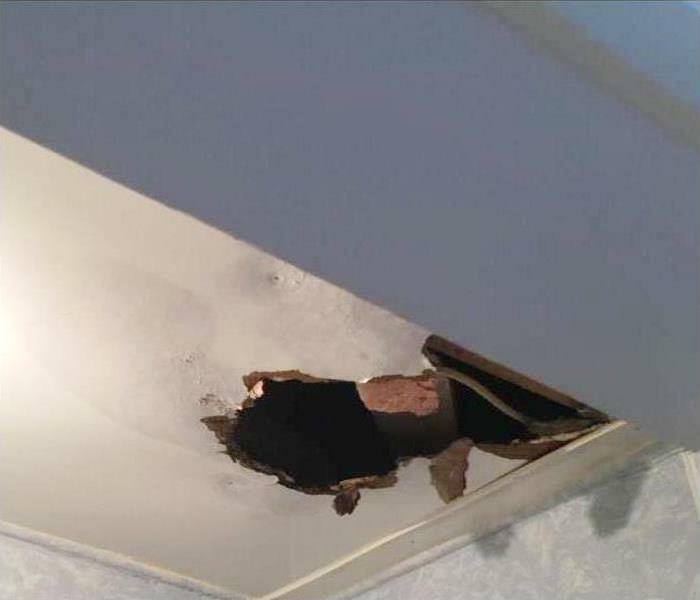 There was damage to the ceiling as well as other areas of the building. SERVPRO Santa Ana set up equipment and got the building back to safe working conditions for the employees who work in the office. SERVPRO has crews ready around the clock and we are ready for any emergency large or small. Call us so we can make it "Like it never even happened." for you. SERVPRO Santa Ana was right on the scene with the fire department. This home in Santa Ana, CA caught fire due to electrical issues. SERVPRO Santa Ana is always ready for any size emergency. We understand that these are huge disasters in your life and our promise to our customers is to be prompt and handle your emergency as if it was our own. SERVPRO Santa Ana is a 24/7 company. This is a photo of a commercial building that flooded in Santa Ana, Ca. 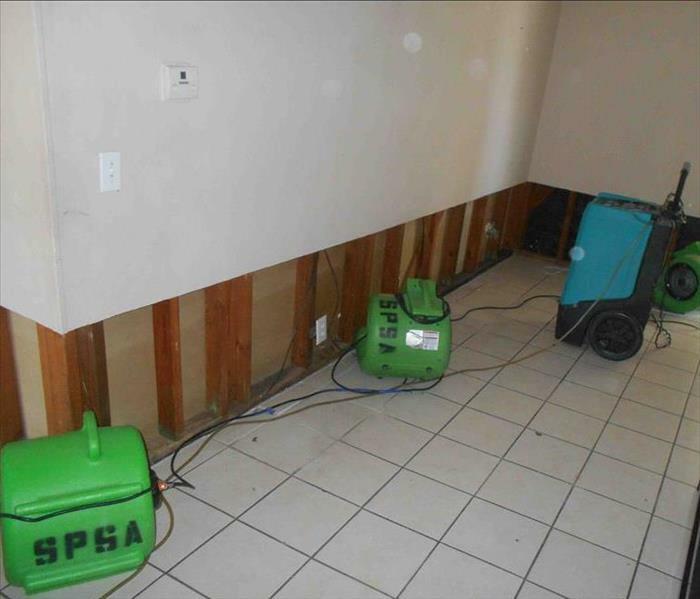 SERVPRO of Santa Ana was to the rescue and extracted all of the remaining water from this flood. SERVPRO Santa Ana then proceeded with cutting walls and drying out areas that needed to be dried. Our team here at SERVPRO Santa Ana works hard all hours of the day to assure that our customers not only live in a safe environment, but work in one as well. 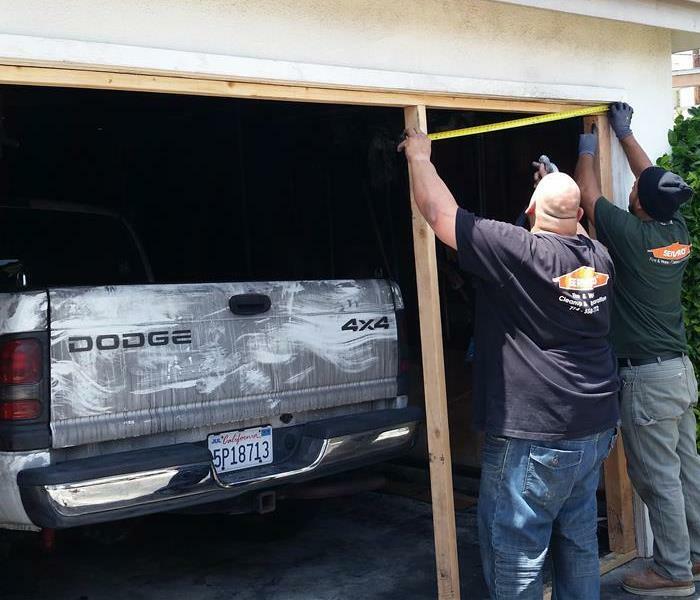 This is a photo of our owner Tom boarding up a garage after a fire. Tom Puorro is very hands on with every job that comes our way. Faster to any disaster ! Here is a picture of our fans in action. Our equipment is an important part of our business. Each wall affected by the flood is first dried out using these fans. If the fans do not dry the wall due to an excessive amount of water damage we then cut the walls to do more extensive drying. This is a picture of our fans lined up and ready to be used to dry out this Art Gallery in Laguna Beach, Ca. Here at SERVPRO Santa Ana we know that organization is key to a smooth moving job. This is a photo of the famous Anaheim Packing House, due to heavy rains the building flooded. Heavy rains, and dry heat are no joke in California. The weather can change from hot to cold, or vise versa over night! Keep SERVPRO's number handy incase of any emergency. 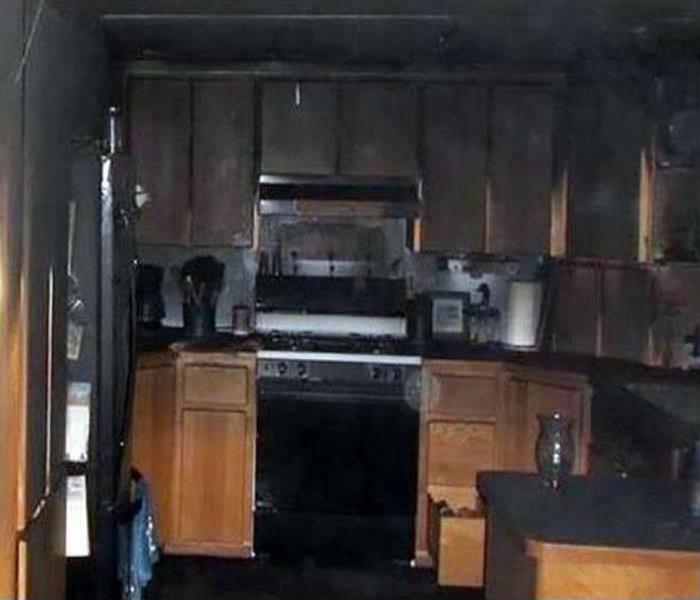 This was a fire we packed, cleaned and moved back after repairs in Long Beach. 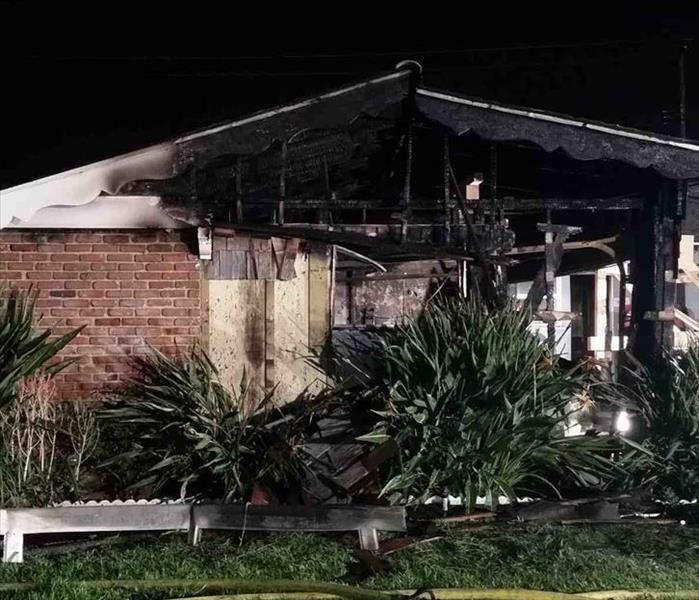 When a significant amount of fire damage is done to a house, such as the photo shown, we have to sponge and wipe walls with a special chemical. This is a photo of one of the many containments our workers here at SERVPRO Santa Ana have built. We build containments to keep our customers safe in their own homes. This is a picture of an employee here at SERVPRO Santa Ana cleaning up a messy situation. We are prepared for any situation. He is wearing one of our white suits to protect himself from any type of harm fires or floods may cause. We also have respirators to ensure that our employees and customers who enter the structures with fire damage do not get any smoke inhalation that may damage their lungs. These masks are also used in mold, or other toxic situations. This is a photo of our employees getting our SERVPRO vehicles ready for an Emergency after normal business hours. Here at SERVPRO we work 24/7 to assist all of your Emergency needs ! We take our customer service to the highest level we possibly can, and can ensure each customer will be just as satisfied as the last! !